Cherevko O.V., Doctor of Economic Sciences, prof. (Editor in Chief); Boechko F.F. Corresponding Member of the National Academy of Pedagogical Sciences of Ukraine, Doctor of Biological Sciences, prof. (deputy editor); Kornovenko S.V. Doctor of Historical Sciences, prof. (deputy editor); Kyryliuk Ye.M. Doctor of Economic Sciences, prof. (executive secretary); Arkhipova S.P. Doctor of Pedagogical Sciences, prof.; Bida O.A. Doctor of Pedagogical Sciences, prof; Gnezdilova K.M. Doctor of Pedagogical Sciences, prof.; Golovnya B.P. Doctor of Technical Sciences, associate prof.; Husak A.M. Doctor of Physical and Mathematical Sciences, prof.; Desyatov T.M., Doctor of Pedagogical Sciences, prof.; Zemzyulina N.I. Doctor of Historical Sciences, prof.; Zhabotinskaya S.A., Doctor of Philology, prof .; Kuzminsky A.I. Corresponding Member of the National Academy of Pedagogical Sciences of Ukraine, Doctor of Pedagogical Sciences, prof.; Kukurudza I.I. Doctor of Economic Sciences, prof.; Lyzohub V.S., Doctor of Biological Sciences, prof.; Lyashenko Yu.O., Doctor of Physical and Mathematical Sciences, associate prof.; Marchenko O.V., Doctor of Philosophy, prof.; Masnenko V.V. 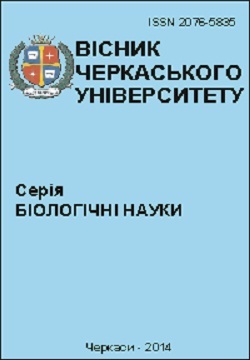 Doctor of Historical Sciences, prof .; Minayev B.P. Doctor of Chemistry, prof.; Morozov A.G. Doctor of Historical Sciences, prof.; Perekhrest O.H., Doctor of Historical Sciences, prof.; Polishchuk V.T. Doctor of Philology, prof.; Selivanova O.O., Doctor of Philology, prof.; Chaban A.Yu., Doctor of Historical Sciences, prof.; Shpak V.P. Doctor of Pedagogical Sciences, prof. The journal is indexed in international scientific-metric bases: Index Copernicus (ICV 2016: 48,03), Research Bible, Scientific Indexing Services. Main Editorial Board: Cherevko O.V., Doctor of Economic Sciences, prof. (Editor in Chief); Boechko F.F. Corresponding Member of the National Academy of Pedagogical Sciences of Ukraine, Doctor of Biological Sciences, prof. (deputy editor); Kornovenko S.V. Doctor of Historical Sciences, prof. (deputy editor); Kyryliuk Ye.M. Doctor of Economic Sciences, prof. (executive secretary); Arkhipova S.P. Doctor of Pedagogical Sciences, prof.; Bida O.A. Doctor of Pedagogical Sciences, prof; Gnezdilova K.M. Doctor of Pedagogical Sciences, prof.; Golovnya B.P. Doctor of Technical Sciences, associate prof.; Husak A.M. Doctor of Physical and Mathematical Sciences, prof.; Desyatov T.M., Doctor of Pedagogical Sciences, prof.; Zemzyulina N.I. Doctor of Historical Sciences, prof.; Zhabotinskaya S.A., Doctor of Philology, prof .; Kuzminsky A.I. Corresponding Member of the National Academy of Pedagogical Sciences of Ukraine, Doctor of Pedagogical Sciences, prof.; Kukurudza I.I. 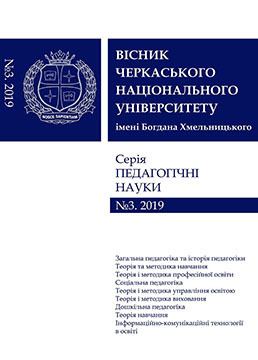 Doctor of Economic Sciences, prof.; Lyzogub V.S., Doctor of Biological Sciences, prof.; Lyashenko Yu.O., Doctor of Physical and Mathematical Sciences, associate prof.; Marchenko O.V., Doctor of Philosophy, prof.; Masnenko V.V. 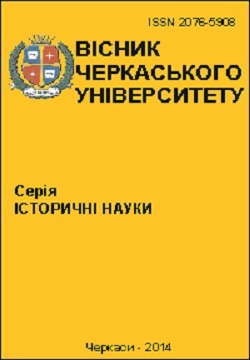 Doctor of Historical Sciences, prof .; Minayev B.P. Doctor of Chemistry, prof.; Morozov A.G. Doctor of Historical Sciences, prof.; Perekhrest O.H., Doctor of Historical Sciences, prof.; Polishchuk V.T. Doctor of Philology, prof.; Selivanova O.O., Doctor of Philology, prof.; Chaban A.Yu., Doctor of Historical Sciences, prof.; Shpak V.P. Doctor of Pedagogical Sciences, prof. Topics: coverage of topical issues of adult education as a social institute, the development factor, social adaptation and forming personal mobility of an adult in current society; studies of the practices in foreign countries (Sweden, FRG, Italy) on the development and implementation of curricula for adults and the historical aspects of organizing adult education in Ukraine in various historical periods; aspects of social pedagogical work with various categories of the population; issues of educational work in comprehensive and higher educational institutions; specifics of organizing various forms of education, development of new pedagogical technologies, pedagogical conditions for the efficient cognitive activity in students and schoolchildren, continuity of professional education, etc. Chief editors board: Boechko F.F., Corresponding Member of National Acadeemy of Sciences of Ukraine, Doctor of Biological Sciences, Professor (Deputy Editor-in-Chief); Kornovenko S.V., Doctor of Historical Sciences, Professor (Deputy Editor-in-Chief); Kiriluk Ye.M., Doctor of Economic Sciences, Professor (Executive secretary); Arkhypova S.P., Doctor of Pedagogical Sciences, Professor; Bida O.A., Doctor of Pedagogical Sciences, Professor; Hnezdilova K.M., Doctor of Pedagogical Sciences, Professor; Holovnya B.P., Doctor of Engineering Sciences, Docent; Husak A.M., Doctor of Physics and Mathematics Sciences, Professor; Desyatov T.M., Doctor of Pedagogical Sciences, Professor; Zemzulina N.I., Doctor of Historical Sciences, Professor; Zhabotins'ka S.A., Doctor of Philology Sciences, Professor; Kuzminskyi A.I., Corresponding Member of the National Academy of Pedagogical Sciences of Ukraine, Doctor of Pedagogical Sciences, Professor; Kukurudza I.I., Doctor of Economic Sciences, Professor; Lizohub V.S., Doctor of Biological Sciences, Professor; L'ashenko Yu. O., Doctor of Physics and Mathematics Sciences, Docent; Marchenko O.V., Doctor of Philosophy Sciences, Professor; Masnenko V.V., Doctor of Historical Sciences, Professor; Minaev B.P., Doctor of Chemistry Sciences, Professor; Morozov A.H., Doctor of Historical Sciences, Professor; Perehrest O.H., Doctor of Historical Sciences, Professor; Polishchuk V.T., Doctor of Philology Sciences, Professor; Selivanova O.O., Doctor of Philology Sciences, Professor; Chaban A.Yu., Doctor of Historical Sciences, Professor; Shpak V.P., Doctor of Pedagogical Sciences, Professor.